The automotive industry has been slow to adopt solar technology, but teens at one Montgomery County school are working to accelerate that process while acquiring valuable life skills. 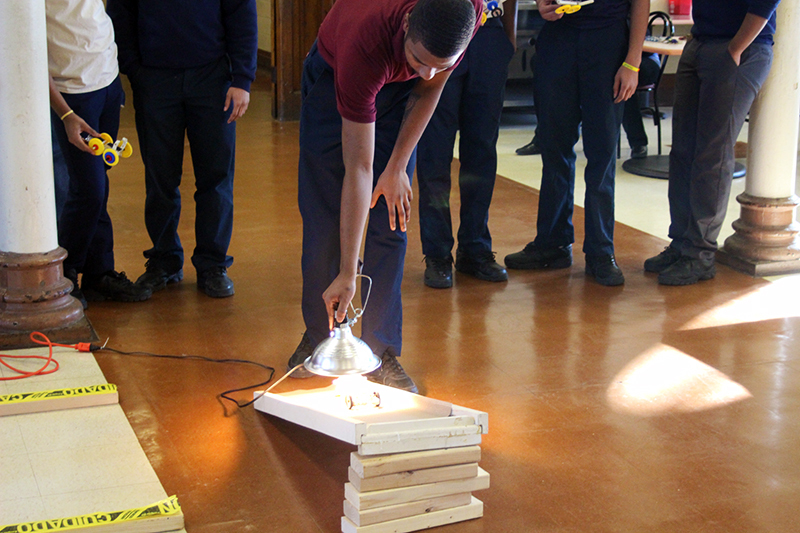 Ten students at St. Gabriel’s Hall in Audubon recently completed a solar car project, working in teams to build and test model-sized units powered by handheld lamps. Now in its sixth year, the project has become a beloved tradition at the Middle States accredited school, which is operated by archdiocesan Catholic Social Services (CSS). The hall is a residential treatment program at which more than 140 adjudicated youth ages 11 to 18 receive comprehensive behavioral and educational support. The solar car project was launched by PJM Interconnection, an Audubon-based firm that manages the electrical power grid for Pennsylvania and several other states. Looking to expand its community involvement, the firm approached St. Gabriel’s to offer its support. “We wanted to have the kind of mentoring program that was hands-on and tactical, not just the ‘Hey, what do you want to do with your life?’ kind,” said Esrick McCartha Sr., a senior business solutions analyst at PJM. The solar car concept was an ideal way for McCartha and his colleagues to reinforce the students’ coursework in STEM (science, technology, engineering and math) subjects. From September to December, about a dozen St. Gabriel’s teens work with PJM volunteers to construct and customize solar car models. 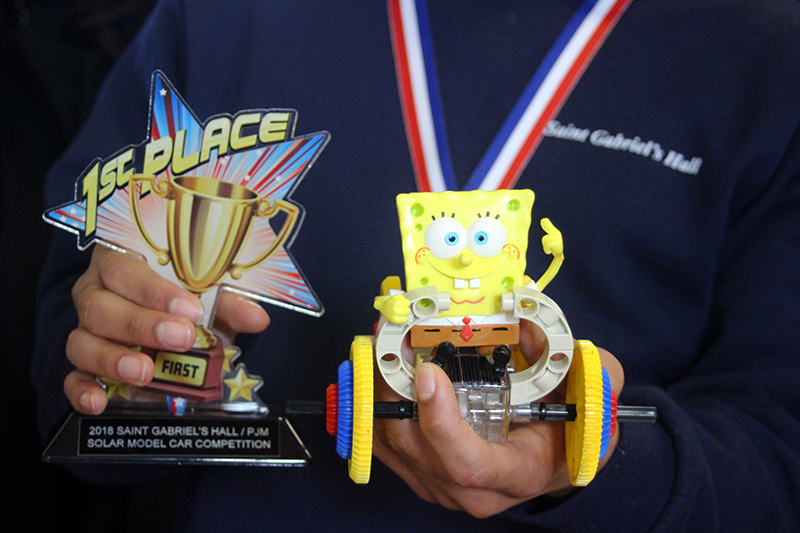 The cars are judged on speed, ability to scale an incline and style. In addition, the teams must deliver a five-minute presentation on their efforts. And it’s during the presentation that the true value of the solar car project is illuminated, said McCartha, since the ultimate goal is to cultivate the teens’ project management skills. “We use what we call an ‘EPIC’ process, which stands for explore, plan, implement and close,” he said. Throughout the semester, students learn to manage the time and materials allotted to build the cars, while documenting their progress and setbacks. Collaboration is central to the project. On Dec. 7, the teams gathered with fellow classmates and St. Gabriel’s staff to put their cars to the test, coaxing the models along a course with level and inclined stretches. The race drew cheers and laughter from participants and spectators, but for the students, the outcome was already assured. With the solar car project in the rearview mirror, several participants are now considering careers in the sciences.